Trivia! Prizes! Fun! 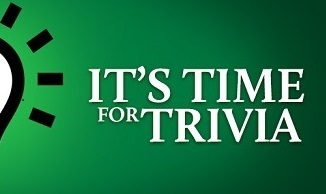 It's our 27th Annual Trivia contest, taking place at Doubledays in Cottage Grove on Saturday, February 23rd, 2019, starting at 7:00 p.m. As always, the contest is sponsored by the amazing Friends of the Deerfield Public Library. For more information on the contest and how to register, email or call the library at 608-764-8102. The 2019 movie is Butch Cassidy and the Sundance Kid.